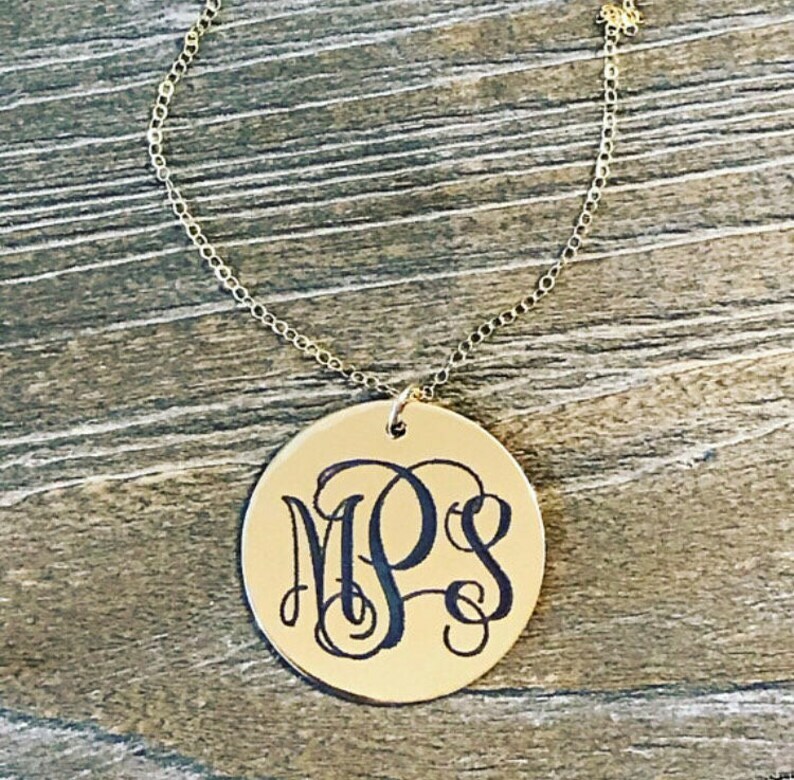 This personalized gold monogram disc necklace is a thoughtful, timeless, keepsake gift for a mom, grandmother, best friend, daughter, sister, lover, wife, or girlfriend. 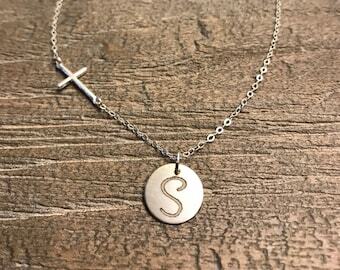 This is an ideal gift for an anniversary, birthday, graduation, wedding, or just because. The gold circle disc necklace is a timeless classic that is made more unique by personalizing with your own unique monogram. 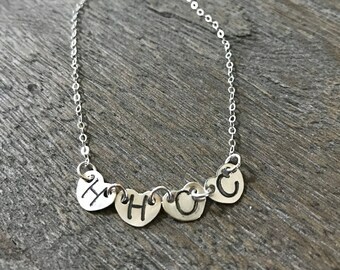 The necklace features a 14k gold fill disc that is engraved in an interlocking script font with up to three characters on a 1.5mm cable chain and spring ring clasp. All connections are welded closed; no worrying that you will lose your cherished necklace. A perfect gift for your bridesmaids! Convo me for special pricing with the purchase of more than 4 necklaces. The standard monogram is First Initial, Last Initial, Middle Initial. Please provide the three letters in the notes to seller section at checkout. Please place the letters in the exact order you wish to have them engraved. Once the order is placed, I will begin work on your custom piece of jewelry and may not be able to alter if I have already started. Please, type your letters carefully.